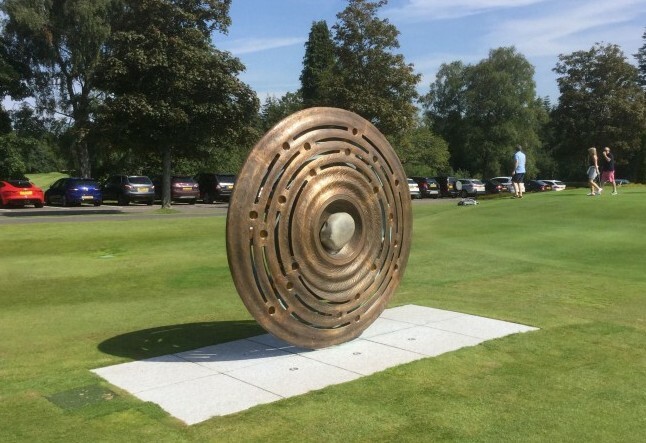 To create a permanent reminder in the form of a unique artwork that celebrates the remarkable story and achievement of hosting the Ryder Cup at Gleneagles Scotland in 2014. Following a meeting at Gleneagles and a tour of the course, it was decided that the proposed position for the artwork should be on the left hand approach to the Dormy Clubhouse and the Gleneagles Hotel, facing the 18th hole of the King’s course where the original 1921 match was held. This position also makes a direct visual link to the Glendevon room in the Gleneagles Hotel, and through the sculpture to the dramatic Glendevon Hills. This Sculpture celebrates the remarkable story and achievement of bringing home the 2014 Ryder Cup to Gleneagles Scotland. The artwork recognises the historic 1921 match at Gleneagles that inspired the Ryder Cup, and it’s homecoming 93 years later in 2014. The circular form is made from a series of threads or ripples emanating from a central carved stone representing the 1921 competition. The spiralling shapes and slots create a movement that leads the viewer from the original match through to the 2014 Ryder cup symbolised by a 3D scan of the tournaments remarkable 18th green landform. Along the way inscribed glass discs reveal the dates and places of the 40 intervening Ryder Cup tournaments. Encircling the glacial boulder are the names of the American and European team members that played the first international match in 1921, and around the low-relief 18th hole green, are the names of the 2014 teams. The open structure of the form allows the viewer to look through the artwork to the 18th hole where the original 1921 match was held and further afield to the Glendevon hills. The weaving threads support at it’s centre a very accurate and tactile representation of the 2014 Ryder Cup 18th 'Dun Roamin'. It has a remarkable sculptural quality, achieved through capturing an accurate 3D scan of the green, which was then scaled down and 3D printed before casting in bronze. 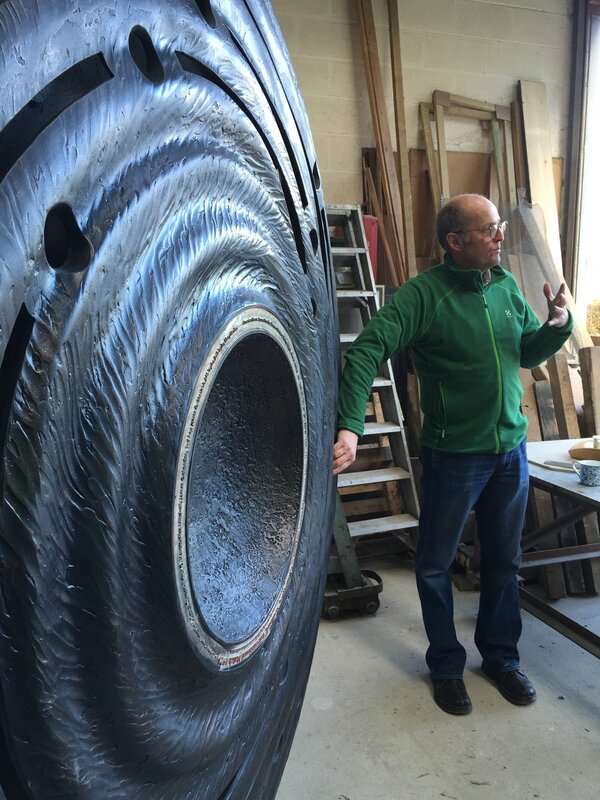 The pattern was fabricated in our own workshop prior to being cut up in sections, to allow it to be cast in bronze. The sections were then welded together, fine finished and patinated prior to us transporting it to Scotland and installing the work.